I absolutely love your Oats recipes. 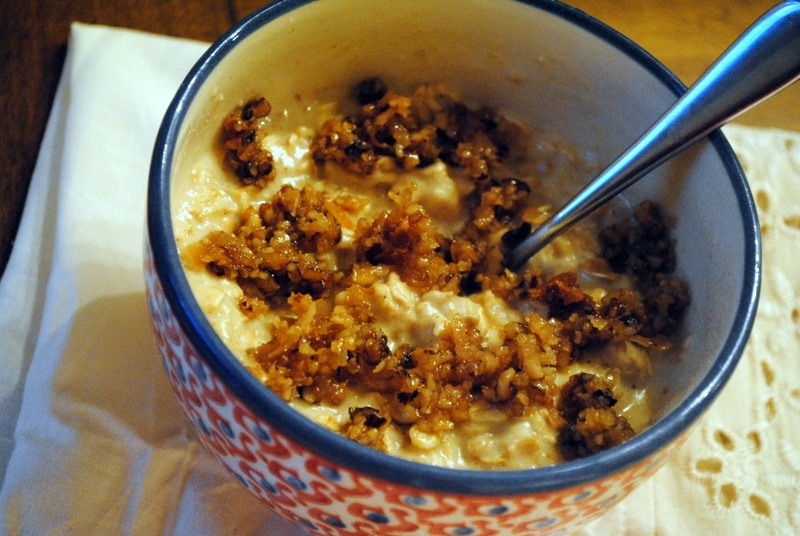 I’ve started checking here for fun recipes to use in the morning for breakfast when it comes to overnight Oats and the like. Awesome, awesome recipes! Mm that banana cake sounds fab! Price tag is kinda hefty but can you put a price on health…ha ha hopefully that will lessen the blow of shelling out 45 bucks! 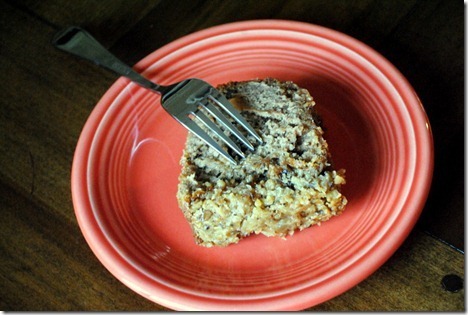 Banana cake has always been a favorite of mine! banana cake sounds delicious!! will have to check that out. thanks for katy’s link… definitely a topic i’ve been interested in! Being a new blogger I love your BTT’s, I hope your readers come up with some good questions so you don’t have to retire it! A picture related segment would definitely be interesting and helpful! i hope so, too! i really enjoy writing them and just feel tapped out of my own ideas at the moment. Yummmmm….. 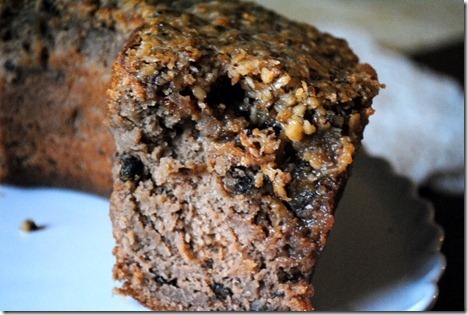 I love banana nut bread and this cake looks divine! My best friend’s bridal shower may be the perfect excuse to shell out some cash for this treat! Hmm re: the blog. I know you’ve posted about realizing that it was rude to ask for other bloggers’ stats, but I’d be curious about more specifics of your timeline. Obviously your blog is very successful now, and I think it’d be inspiring/interesting to hear about the milestones along the way. Maybe no hard numbers, just “after a few months, I saw a x% growth in readership…after seeing this amount of traffic, I got my first giveaway” or something? oh, i actually think that would be interesting! i think SO many bloggers are curious about this – and naturally so. with other jobs, you can easily look up an estimated salary or an ideal career path and semi-predict where you might be able to be in “x” amount of years, but nothing like that exists with blogs to my knowledge. i would LOVE to read something like that from other bloggers myself. it would definitely be a good topic. thanks for the idea! This is definitely something I would be interested in learning especially as a new blogger trying to find my way. I am always interested in seeing how other people expanded their readership and grew their blog. To see the timeline of your success would be great! My husband i saw Daisy Cakes on Shark Tank the show and her cakes look to die for! I saw your tweet about Daisy Cakes last night and checked out their website. It was like (expensive!) cake heaven! For BTT what about design of your site? At what point did you move from generic designs to a personalized design. Did you hire someone, where did you find them, etc.? I would love to know about this too! I am not sure when it’s worth the money to buy your domain name and hire a professional web designer. I am curious as to whether this really can make a big change in readership. Thanks for the help, it’s great to see successful bloggers wanting to help those just starting out! That cake looks delicious!!! YUM!!! As I new blogger I loved blog talk tuesdays! And i figured since you covered most topics it had run its course. I like the picture idea a lot though, I am still getting into the groove of organizing that aspect of it! And thanks for sharing that webinar, I will definitely check it out! Julie! I have read your blog for a little over a year and I can’t believe you just wrote a post about Daisy Cakes! Kim, from Daisy Cakes, lives in my parents neighborhood in Spartanburg, SC and we about flipped when we saw her on The Shark tank! I too think her cakes look absolutely amazing! I love your blog and you are such an inspiration, your blog talk Tuesdays have been very informative for a new blogger like myself! Looks like an amazing cake! I’m curious on the money topic from your point of view. As someone who works full time I’m really curious to learn more about why so many “big time” bloggers don’t seem to have full time jobs. speaking for myself only, i really don’t consider my blog my only job. i really make an effort to primarily define myself as a freelance writer as well and work on freelance writing jobs (or securing freelance work) every day, though my blog is what gave me the financial freedom to take the leap into freelance writing since i knew i had financial backing. for me, i decided to leave my full-time desk job when i was turning down freelance work (which was my dream and end goal) b/c i couldn’t juggle the blog, work and freelance writing. That cake looks so delicious – but you’re right – $45 seems kind of steep. 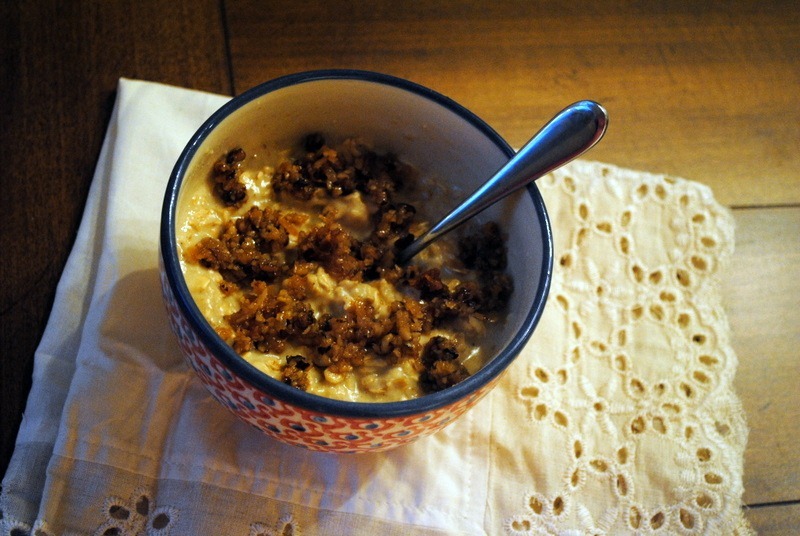 I love how you jazzed up your breakfast with the cake crumblings though – so much more flavor! as for blog talk tuesdays, have you talked about blogger meet ups/meeting a blogger in person for the first time? i’ve never done one, and i’m interested if it can be awkward, or just other people’s experiences with it. maybe that doesn’t even fit into the realm of the series, but just a thought! 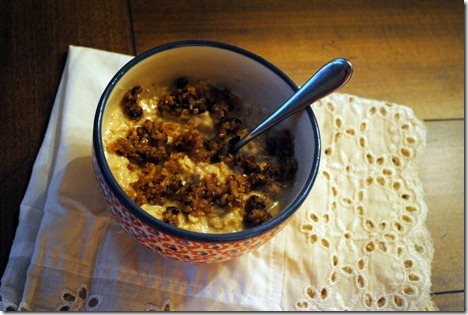 First of all I love how you sometimes incorporate sweet treats into standard breakfast dishes. When I came to the US last year I tried Chobani yogurt for the first time and I remember in one of your posts you crumbled cake on your yogurt, so I tried cheesecake on my chobani and it was fantastic! Also, what do you find more challenging leg workouts or arms? I am always so impressed you incorporate both! Did you see Katy’s post today on pinning? How do you feel about that? I agree… I have some pinning friends who upload their own things all the time! I’ve noticed the pin it link on your items and think all bloggers should do that instead of pinning their own things! haha i left a comment on her post!! i thought it was interesting, too! i think blog talk re:photos would be great…some other ideas might be finding your blog “voice”, and how long that took you…just a thought! That cake looks delicious! I agree maybe only for special occasions with the price – I’m thinking that would be a perfect Easter treat! I’m wracking my brain for blog talk questions – they only thing that comes to mind is maybe an extended post about why you started the blog, but I know you already sort of addressed that before. I’ll keep thinking! That’s one of my favorite scenes in Father of the Bride. The best part of course being how Franck says “cake”…that and the hot dog bun scene kill me every time. That cake looks divine! Thanks for the link to Katy’s blog; I will for sure be checking that out later. That cake sounds divine! I love that you also incorporated it into breakfast! Holy Moley! I am way too cheap to buy that, but it looks delicious…. I am the #1 fan of your Blog Talk Tuesdays, since my blog is fairly new. They’ve helped me tremendously. Honestly, there’s nothing you could write about that wouldn’t be helpful. This kind of piggybacks on the pictures topic, and I am not sure if anyone mentioned this, but I would be interested in learning about how you organize all your topics. I know there must be some that you have on the back-burner waiting to post. How do you make sure you talk about everything you want to? And remember they are already drafted! Just thinking about Steve Martin and Frank made me laugh! I love that movie. Oh my gosh I want that cake asap! It looks fantastic! But I agree, that does sound a bit pricey…although that would probably be worth it for a special occasion! And I have loved every single one of your blog talk tuesday posts, so I don’t think you could go wrong with any topic that you want to bring up! That cake sounds delicious…but the price seems a little high! I was wondering, well its a stupid question and i feel stupid asking it, but how would you do a vlog? cake looks GREAT. i would have no self control. step ups kill me tooo- i wore a heart monitor when doing them and my heart was pumping!!! Wow, that cake looks incredible! I really like the photos topic. I’m always curious to see what cameras other people use! That looks delicious. Although I am dying inside with jealousy over the fact that you got to eat it. This is when I don’t like eating low-carb, low-sugar. I was introduced to step ups last week and felt the same way. It is amazing how different strength workouts can be from running. I think the time I spend with the trainer is WAY harder than the half marathons I have run. Love your Father of the Bride reference!!! I made my fiancee watch the movie with me after we got engaged and now whenever I mention the cake, he corrects me and says “Keck” like Franck pronounces it haha! BTT is so helpful. I have a question about Freelance work. I thought it would be a good idea for my town’s newspaper to add recipes, made with locally grown ingredients. What would be the best way to contact them about this? I am unsure if I should just email her my idea or send her an article and recipe? When you pitch an idea to a company, do you just give them an idea for an article or send them the article too? Father of the Bride has to be one of my favorite movies ever. I used to want the shoes she wore when I got married. Then I watched the movie last weekend and thought…hellooooo early 90’s, nevermind! 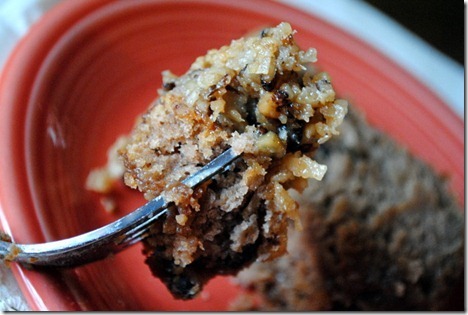 You start a post with cake and end it with awesome blogger tips? This sweet tooth and new blogger is super happy! I can’t wait to read through the past BTT posts soon and your new ideas sound great. I hope you continue it! 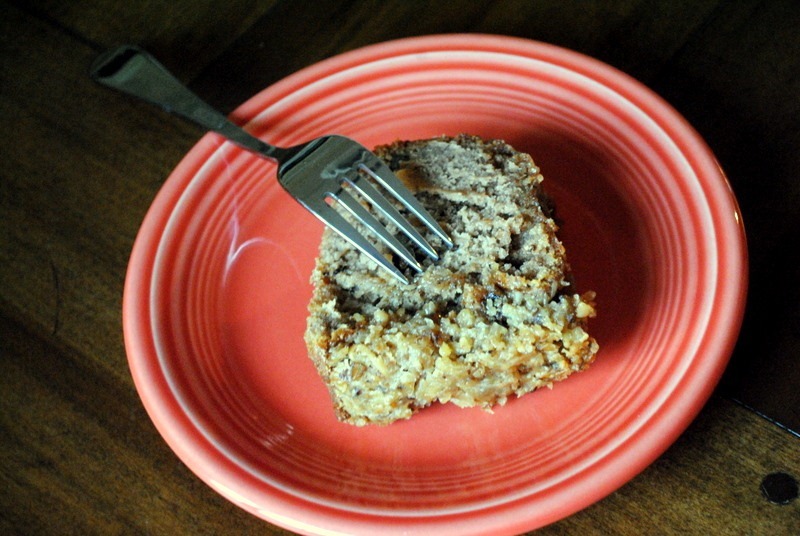 Banana cake or banana bread in oatmeal sounds ahhh-mazing! I can’t wait to try that combo!!! A Blog Talk topic of pictures would be great! And thanks for the links on money and blogging! Oh my that cake looks delicious! And yea your right the price is a bit steep! I bet breakfast was delicious with the cake on top! I loveee Father of the Bride! Such a good movie! And what an amazing cake! It looks delicious! I LOVE step ups–but yes, they wind me too -haha! Omigosh and now I’m officially craving cake. 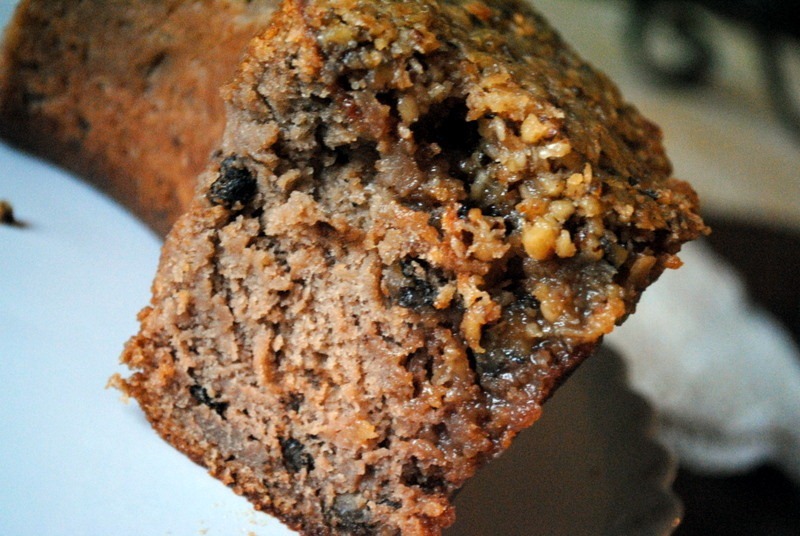 That looks so delicious and moist (sorry but it does) and definitely one of those cakes you keep slicing off a litttle bit more of! And I love your Blog Talks! I’d love to hear about the times when you don’t feel like blogging or don’t have much to say especially since you post so frequently! Do you back-up ideas? Blog talk Tuesday idea: Klout. I guess that’s more of a twitter talk, but it’s one thing I can’t really get myself into. Thanks! I would be interested in knowing how to structure a giveaway. Dos and donts. How long to run the giveaway, etc.